Looking for email updates? Click here. 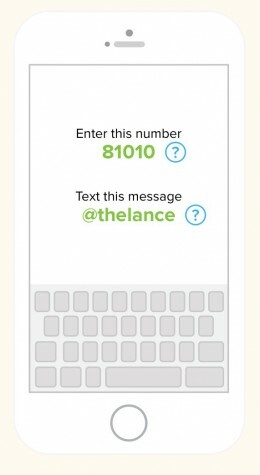 You can register for text messages from The Lance! 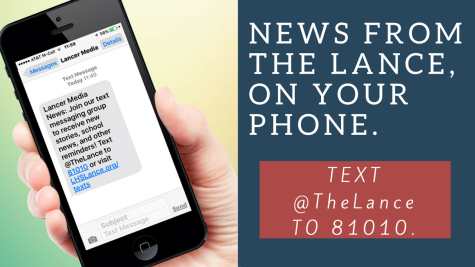 We use a service called Remind to keep you up-to-date with the latest from Lancer Media. This service is free and you can unsubscribe at any time. To subscribe, text @TheLance to 81010. You will receive a list of the groups (“classes”) you are subscribed to. Text UNSUBSCRIBE [@Class] to unsubscribe from the class you don’t want to receive messages from. Average number of messages varies by user and week. While we provide this service to you for free, your carrier may charge you standard messaging rates. If you need help, feel free to reach out to us at [email protected] or 240-670-6624.